I always think about the market and the economy. For me, it’s fun to sit and ponder the future of our economic growth, the future of industry and what our country will look like in years to come. I can lose myself in futurist thinking like driverless cars, space travel and even the miniscule microscopic impact of nano particles. As I get older, I realize that not many folks get lost perusing articles on quantum computing, 3-D metal printing, artificial intelligence for everyone and zero carbon natural gas. I fully accept the future and embrace it. Yet, there is something that hasn’t started to make sense fully until now…the gig economy. The gig economy is the job market made up of short-term contracts in lieu of permanent jobs. The term “gig” does not refer to “gig” in the historical sense like the way a person in a rock band lands a gig to play at a theater. Rather “gig” refers to “gigabyte,” as if to suggest it is short for the computerized technology. So, if you are like me, you can refer to the gig economy as the gigabyte economy to help remind you that it has to do with the computerization of our world. Technology has absolutely changed the job market as well as the type of income producing opportunities available to those seeking employment. Don’t miss: which grocery delivery service offers the most bang for your buck? Big picture, if you look at the gig economy right now it might not be the new frontier for America’s workforce. Most of us reading this article have taken either an Uber or Lyft, or perhaps you found a nanny/house cleaner using a site like care.com or others? Gig work is seen as ideal for people who want the flexibility and independence that traditional jobs do not tend to offer. However, given all the hype behind the gig economy jobs, evidence starts to reveal that many of these jobs don’t deliver the financial returns many need to make an honest living. There are exceptions in every situation. According to Entrepreneur, some of the highest paying gig jobs, like “deep learning jobs,” can pay on average $115/hour. The catch is you need considerable skills in algorithms and a variety of programming languages to command that salary. For those that are worried that computerized robots are taking our manufacturing jobs, fear not because those that serve the robots can work robotics jobs that pay on average $77.46/hour. So, if you think that building and designing machinery is the dream job for you, and if you can find 30 hours of paying work in this field and do it for 40 weeks per year, you could earn a bit more than $92,000 per year. Yet, these gig jobs don’t appear to be reshaping the workforce currently. In fact, over the past two years, the pay for gig workers has dropped according to CBS News. 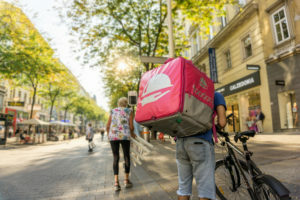 A study done by JP Morgan found that the incomes being generated by the gig economy jobs have gone down and have forced many to generate a larger share of their income elsewhere. Further, it was found that those working in gig jobs tend to only do so a few months a year, which necessitates the need for outside full-time employment. When you look through the information above, it’s no wonder that most cannot rely on these gig economy jobs as their sole source of income. However, as a side job, and a source to create regular additional income, these opportunities are delightful. Trying to figure out how prolific these jobs are, we can turn to the JPMorgan study. JPMorgan reviewed their checking accounts over a 5½ year period. The data shows that in March 2018, about 1.6% of families participated in the gig economy. Maybe as many as 2 million households participate in these burgeoning new job opportunities. Comparing it to earlier figures, it is barely up from the 1.5% of a year earlier. Further, most that enter this gig economy haven’t been staying long. In fact, one in six workers on online platforms are new and more than half will have left the gig economy after a year of entering it. For ride sharing workers, most work just three months or less each year, and fewer than one-quarter of drivers performed gig work for seven months or more, the JPMorgan study found. Those doing home improvement work perform gig work for only three months a year or less. The reason they aren’t staying or working more? Low pay and over saturation of people flooding the same gig jobs likely helps explain the frequent turnover. Now you know what the gig economy is, and you also know that another stream of side income is available for you when you are ready! Still, the days of working from home in your sweatpants and making big money in the new wave of job opportunities opened up by the gig economy isn’t quite ready yet. Bottom line, don’t quit your day job!